Social Media and SEO – how effective is your website? Your business SEO strategy may currently be based around link-building – where specific paths are created to lead directly to your website and increase your search engine ranking – but this is no longer the best way to promote your website. Although Google once allowed the tactic of using link generation as popularity votes, it wasn’t long before they realised that fake link-building could lead to some websites gaining an unfair advantage in terms of popularity and ranking. The old system of link-building could in fact be easily manipulated by web builders to enhance their SEO ranking which led to Google introducing penalties to counteract the problem. Google has now discovered a smarter way of measuring the popularity of your website – and it’s called social media. If you have a Twitter, Facebook or LinkedIn account for your business, you probably already have a group of “fans” who are willing and able to share your content. Not only can you share content from your website or blog, you can use social media “like” or “share” buttons as a brand new voting system! These are the tools that Google now employs to measure SEO as they are more effective and much tougher to manipulate. The old method of link-building often created multiple pathways to your website but how would people find them? Chances are, you were churning out hundreds of links to your pages but nobody was paying attention! The beauty of social media is that conversations, events and interactions are constant and they are happening in real-time. The best (and quickest) way to increase your online influence is to have a presence where people are active and ready to engage. Once you start to generate consistent, quality posts on social media, you will begin to find the right audience for marketing your business. 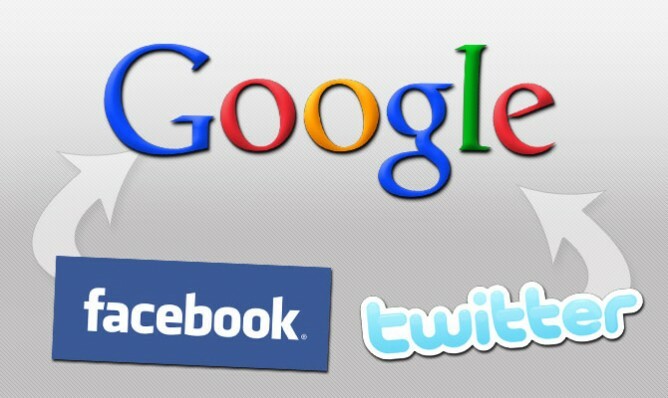 Google is now also using social media to monitor the popularity of your website. It can calculate how many people visit your website; how many users share your content; how many followers/fans you have and whether you have social media interaction links built into your web pages. These are known as “social signals” and they are Google’s new way of measuring your website ranking. It’s also been proven that social media links drive quality traffic to your website, whereas the majority of links from SEO building would fail because they would do nothing except act as a signpost for your website. Social media links have the potential to connect with real people (not bots or spammers); they increase the number of followers/fans in your social circles and can help generate sales for your business. Google is now taking a stance against link-building because it can be manipulated and therefore does more harm than good when it comes to SEO. When promoting your website, focus on providing value and quality across your marketplace – and the best way to do this is via social media. If you’d like some help managing your social media accounts and campaigns, please get in touch!